These skirts are popular! These skirts feature a base color with a hot tip of another color. 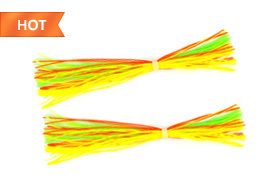 Great for both spinnerbaits and jigs alike. Five skirts per pack. Glitter impregnated strands of round silicone make this 5 skirt stand out like no other! Superior flash in the water brings fish in from a distance. These new generation silicone skirts are the nicest we’ve seen. New technology allows us to separate skirt colors, providing you with unmatched color patterns and combinations not available until now. 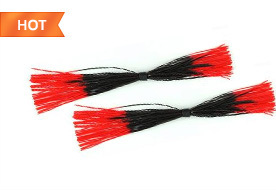 At Spinnerbaitskirtsonline.com we offer spinnerbait skirts, buzzbait skirts, jig skirts and many other types of skirts for your fishing needs. Our products are the best quality you’ll find online… period, delivered right to your door. 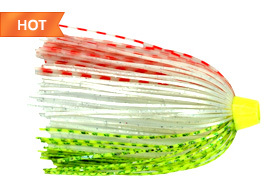 This entry was posted in Uncategorized on February 4, 2013 by Spinnerbait Skirts.